Jan C. Rasmussen, Ph.D., R.G. Abstract: Numerous orogenic (mountain building) episodes generated mineralization when Arizona was on the leading edge of a continent. Arizona was subjected to volcanism and plutonism that rose from the plate that was being subducted under the westward-advancing North American continent. Deposition of minerals is associated with five orogenies (mountain building episodes) in the Proterozoic and five orogenies in the Mesozoic and Cenozoic. Three orogenies in the Paleozoic that affected the eastern United States influenced the deposition of sedimentary rocks in Arizona. The thirteen orogenies that affected deposition of collectible minerals and productive mining districts in Arizona are listed in Table 1. A long version of Jan's abstract can be found at Arizona Minerals through Geologic Time. Bio: Jan Rasmussen, formerly Jan Wilt, earned a Ph.D. in economic geology from the University of Arizona in 1993 under the direction of John Guilbert and Mary Poulton. She then went to work for Woodward-Clyde as a geochemist/stratigrapher/economic geologist on the Yucca Mountain project in Nevada. Jan’s work there was recently published in the 2015 Geological Society of Nevada symposium volume. Jan started her geological career with the Arizona Geological Survey, where she co-authored books on coal, oil, and uranium and on fossils in Arizona in the late 1960s – early 1970s. While raising a family in the mid 1970s, Jan was Assistant Curator of the University of Arizona Mineral Museum. She returned to the Arizona Geological Survey in the late 1970s and co-authored books on molybdenum and uranium in Arizona. During this time, Jan was very active in the Arizona Geological Society, editing the Tectonic Digest and the Land of Cochise Guidebook and serving in various AGS offices, including president in 1985. She was co-chairman of two of the AGS symposia and program chairman for a third symposium. Throughout her career, Jan has been committed to educating people about geology and has taught Physical, Historical, and Environmental Geology as adjunct faculty for the University of Arizona, Austin Community College, Cochise College, and Pima Community College. Jan returned to Arizona in 2001, working for MagmaChem Exploration and then SRK Consulting until 2007, when she moved to Phoenix to be Curator of the Arizona Mining and Mineral Museum. Jan received the SME Individual GEM award in 2010 for her work in educating children about the importance of mining in their lives. After she retired from the museum in 2010, Jan returned to consulting, primarily for SRK Consulting, where she has written Canadian National Instrument 43-101 reports for mining clients, Aquifer Protection Permits, and other permitting documents. Some of her consulting has been for MagmaChem Exploration, which involved research into hydrothermal oil in the North Sea for a major Norwegian oil company. 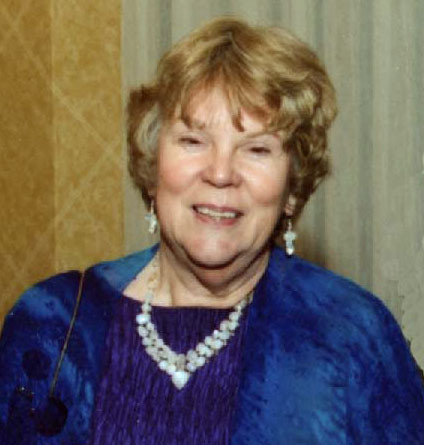 Throughout her career, Jan has coauthored 14 books or open file reports on Arizona geology and numerous articles, most of which are available as pdf files on her website www.janrasmussen.com. Jan has recently started a photographic website about the Arizona Mining and Mineral Museum as it was in 2010 before the Arizona Historical Society closed it. This website is www.miningmineralmuseum.com.